Strategic storytelling for purposeful brands. photo by ouropenroad.com. Somewhere in Panama. Food, water, shelter, family. Scrolling through the blog of Adam and Emily Harteau with their 2 1/2-year-old daughter Colette as they chug across Central and South America in their Westfalia van is life in its purest pursuits. The trio of vagabonds started their journey last fall in California and have crossed the borderlines of Mexico, Guatemala, Nicaragua, Panama, Colombia, Ecuador and into Peru. Our Open Road documents the anthropological photo journey in which life happens in a living-in-the-present pace, taking time to breathe in the whole 360 degrees of the wondrous culture and environment around them. Emily was in the thick of co-designing an artsy-indie clothing line called Smoke & Mirrors when I met her back in the mid-2000s. That business has since folded, but her creative curiosity is very much alive, and she’s now exercising her love of textiles and refined taste in bazaar shopping and artisan house visits. I caught up with Emily via email to learn more about their daily routine and how they prepared for their epic adventure. A lot of people want to do something like what you are doing. What do you have to say to someone who says, "I wish I could do that"? What's holding people back? 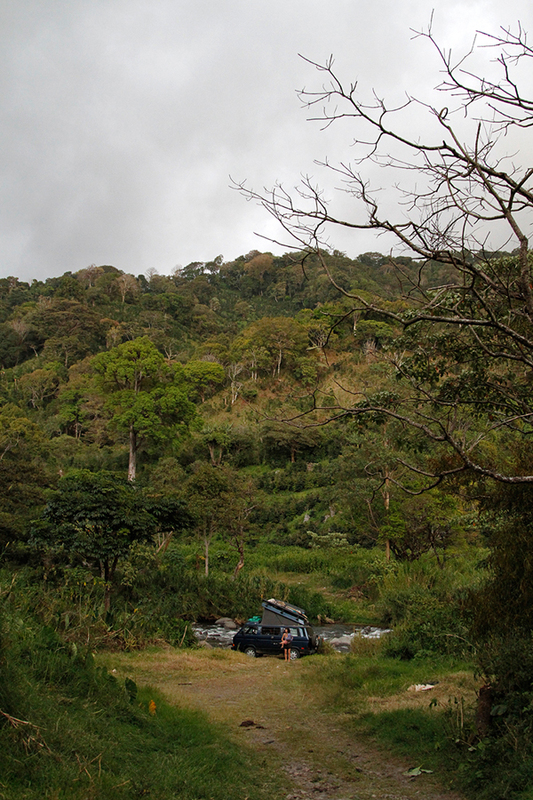 We have met numerous travelers from poor countries that have made their dreams of travel a reality. People hold themselves back. The American Dream that has been instilled in us—well, we are re-examining it, discovering our own world truth. If you set your mind to it, think creatively, and are willing to sacrifice some creature comforts, life on the open road awaits you! Was there a significant event or moment that made you and your husband decide to take the leap and go on this trip? In 2007 we did a 14,000 mile circumnavigation of Canada and the USA. In 2010 we overlanded in Southern Africa, exploring Zambia, Botswana, Namibia and South Africa. Our palates were whet by such adventures and we dreamed of more. While pregnant with Colette, Adam was working as an artist on a film project that would have put us in India and Nepal for several months. When that fell thru we set our sights on our next big trip. We brainstormed a ton of options, then fell in love with the plan to overland the Americas. What were some of the preparations you made before: both practically and spiritually? The biggest preparation was the mental commitment to make the journey happen. From there we route planned, scrimped and saved, Adam prepared our Kickstarter campaign, we had a ton of garage sales, a guest-chef night/ fundraiser at Pizzanista!, researched and daydreamed. A big challenge was the separation from friends and family. We are blessed with a tribe that is so loving, creative and inspiring that a year away seemed a huge span of time. We are excited to fly home to California for a visit in mid-August! What does an average 3 days of traveling look like for your family? How much planning and structure is there in your daily life? Every day is different- and that is just how we like it! These past 3 days we have been camped in Cusco, Peru. Adam is finishing a complete remodel of the interior cabinets for the van! 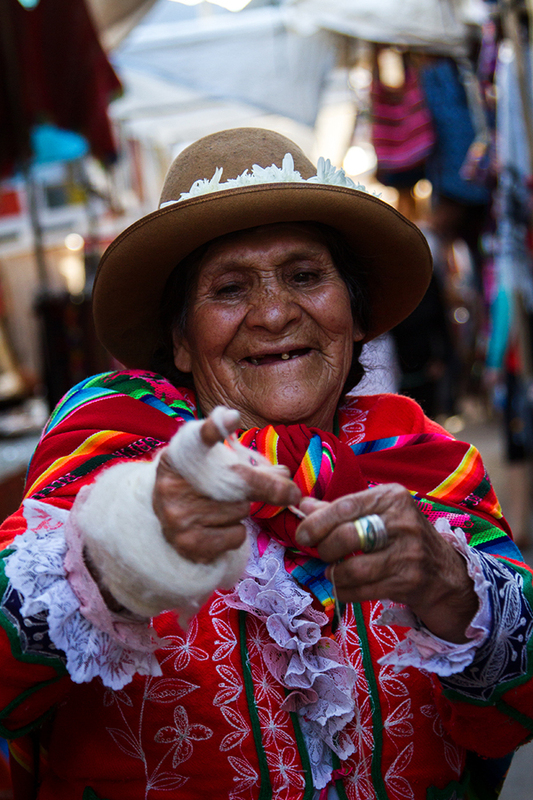 It has also been Inti Raymi festival- the winter solstice, which is a huge celebration here. So our days have been a balance of working on the cabinets, socializing with fellow overlanders, hand-washing laundry, walking to town for the festivities, and the ever-present job of working on the next post- writing & editing pictures! What are the top five material things that you brought with you that have been essential lifesavers? 1) ATM card gets food, gas and anything else needed. 2) The camera. Adam has captured so many magical moments and scenes. 3) Laptop has skype to see friends and family, holds pictures and has the internet, pretty indispensible! 5) AND of course our Westy, not only transport, but our home! You used to produce a clothing line, Smoke & Mirrors. What about the fashion business did you love, and hate? How do you still fulfill your creativity today? I love the creativity and passion in the industry, I do not miss the stress and greed of it. 24HourBazaar is a way I use my eye to select items that I think are relevant in the marketplace. 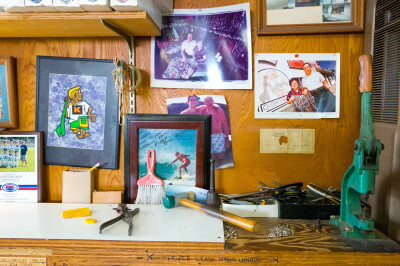 In the future, I plan to work with artisans directly to create original designs. I am so inspired here on the road! Fashion will always be a part of my life. 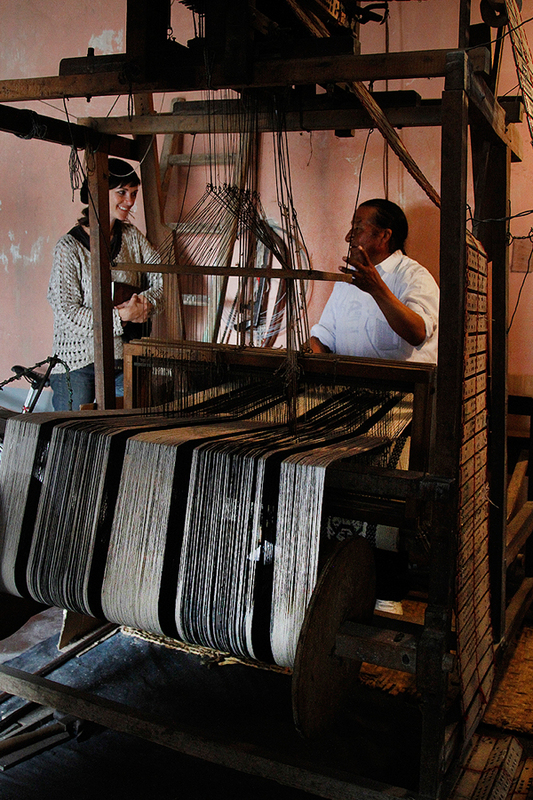 In Ecuador, Emily shows off a hand-loomed textile. 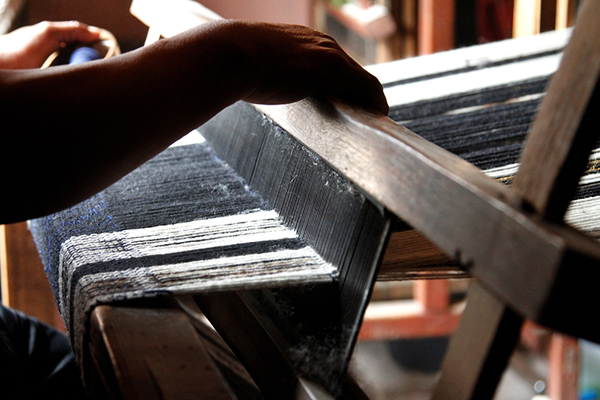 In Ecuador, the complicated human-operated loom. What is your 24-hour bazaar? What kinds of things do you look for? 24HourBazaar is what the name implies: a bazaar for 24 hours! 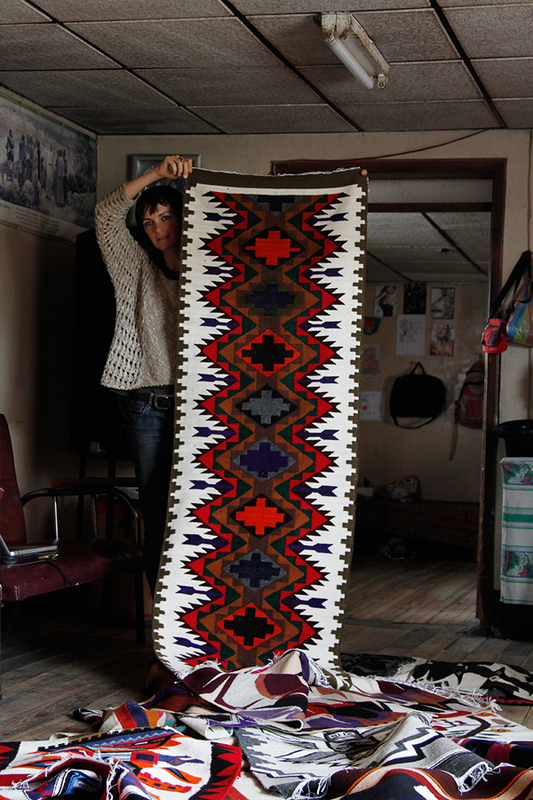 We curate an assortment of fair-trade, hand-crafted items such as rugs, textiles, blankets, jewelry and clothing directly from the artisans, photograph them, assemble a Pdf and email it to our list of clients. Once sent out, the clock starts ticking. We receive orders, shop and ship accordingly. If you would like to be added to the list, please email us at contact@ouropenroad.com. 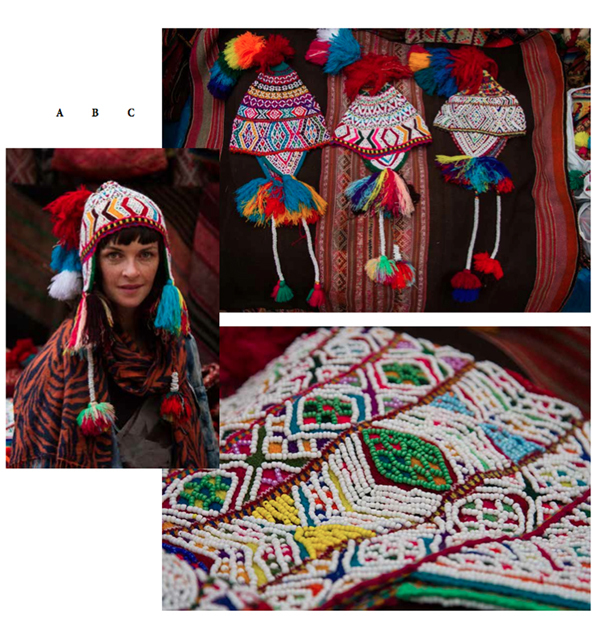 A page from the latest 24HourBazaar with goods from Peru. How does surfing contribute to your relationship with Adam as couple and relationships to people you meet? I have yet to cross over to that side of surfing. Yoga is still the place where I find that release. Surfing is a very present part of our relationship, as Adam thrives when near or in the water- it is his Zen. We love the mountains and the sea, so strike a balance on the road between the two. 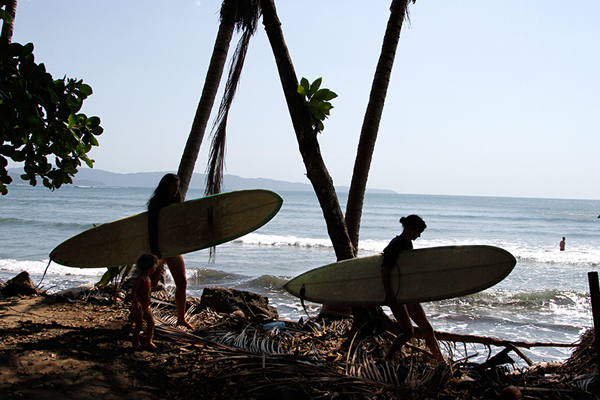 At the beach, we seek out remote surf spots and have met some fantastic people this way. 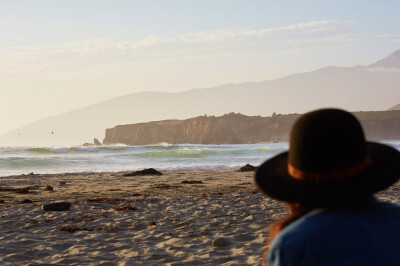 Many of our favorite places have been direct recommendations from fellow surfers. From seeing the way that people live in the poorer countries, how do you think they have it right and we have it wrong in the first world? We first-worlders are much more individualistic in our pursuits. Family is really the central focus in every country we have traveled. What surprises you about meeting some of the people you meet on the road—both other travelers and locals? The generosity of people has been beautifully astounding. 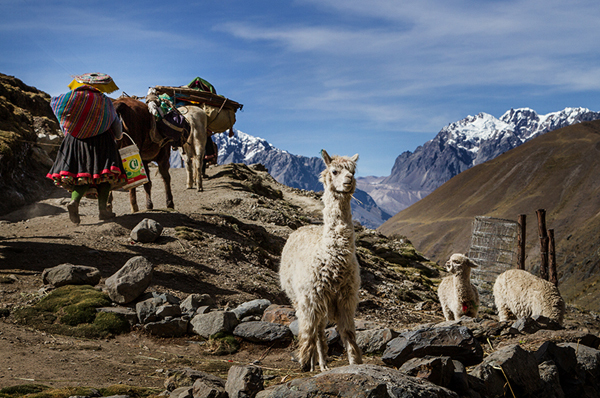 Colombians are the kindest, most outgoing folks we have yet to meet. We had a security guard bring us coffee in the mornings when he noticed we were camping in front of the fancy building he worked at. When we asked an older gentleman for directions to the metrocable in Medellin, he walked us to the ticket scanner, paid for our tickets and stood proudly at our side until our stop came. The people of Colombia went above and beyond to prove that their international reputation was wrong. Have you thought about where you'll end up settling when you have finished your journey? We have now been on the road for 8 months. When we departed, our plan was to be gone for 1 year, we now are looking at 2 years plus. The word “settle” currently has no flavor to it; we are at peace on the road, journeying and exploring. Ventura/ Carpinteria/ Santa Barbara has been an area we have discussed relocating to for many years… perhaps in the distant future, but it looks like a long affair with the road for now. © Tide Push Creative. All content written by Rhea Cortado unless otherwise noted.